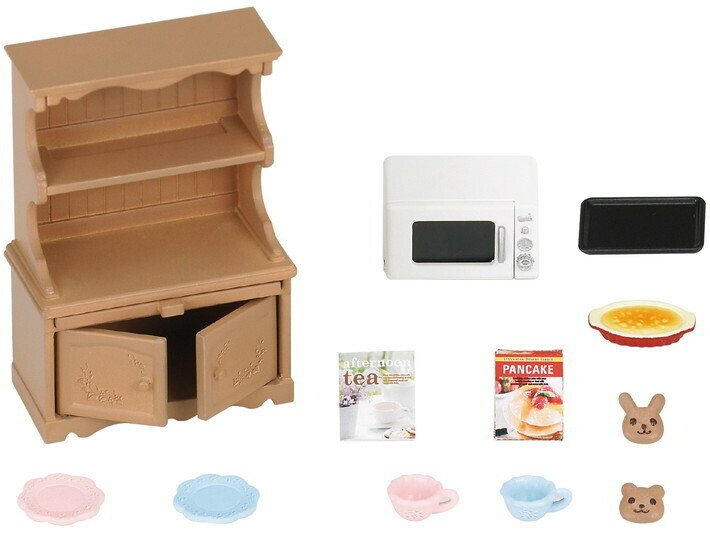 If you're short of space in your nest, then this this set comes with a wall cabinet which holds a small but nifty white oven. 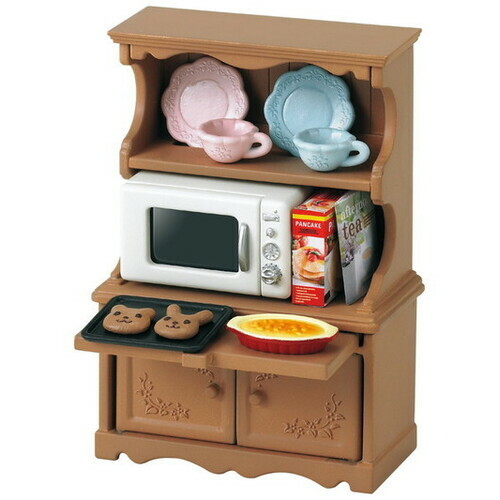 Theres also plenty of crockery including 2 cups and 2 saucers, in pretty pink and blue. 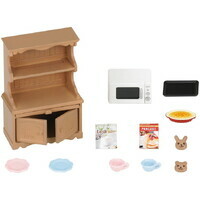 A baking tray, a baked dish and a mouth watering bunny and bear cookie are included. 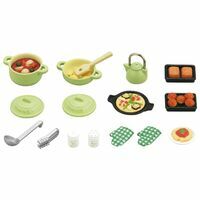 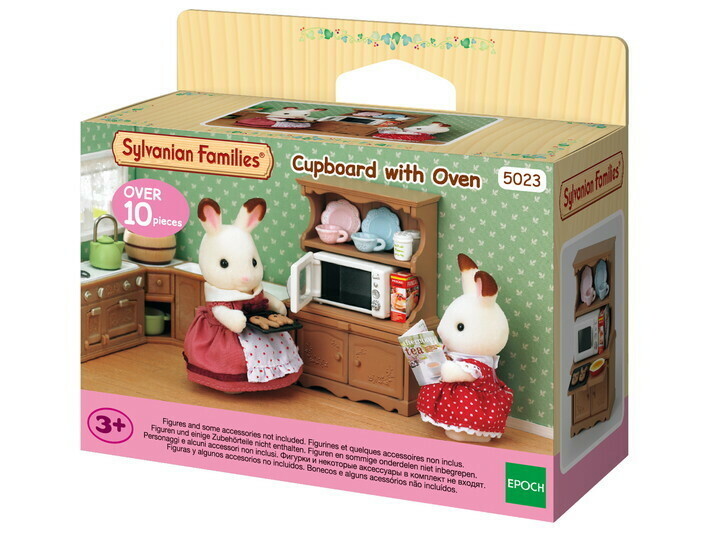 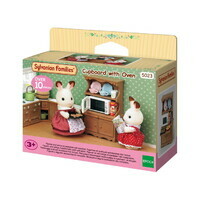 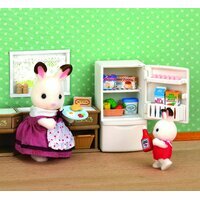 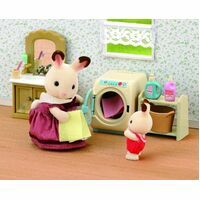 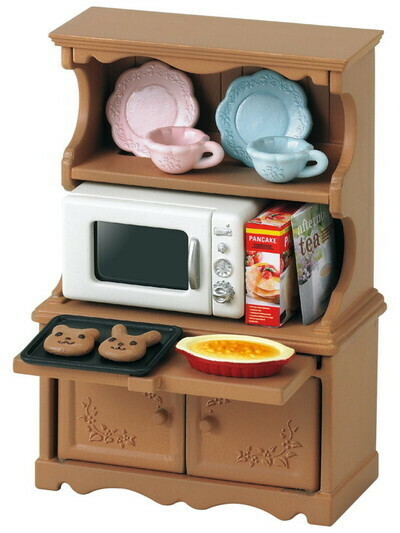 If you don't have room for a larger oven in your den, or you want a flexible kitchen where lots of Sylvanians can make food at once, then his yummy set will fill your Sylvanians' tummies in no time!